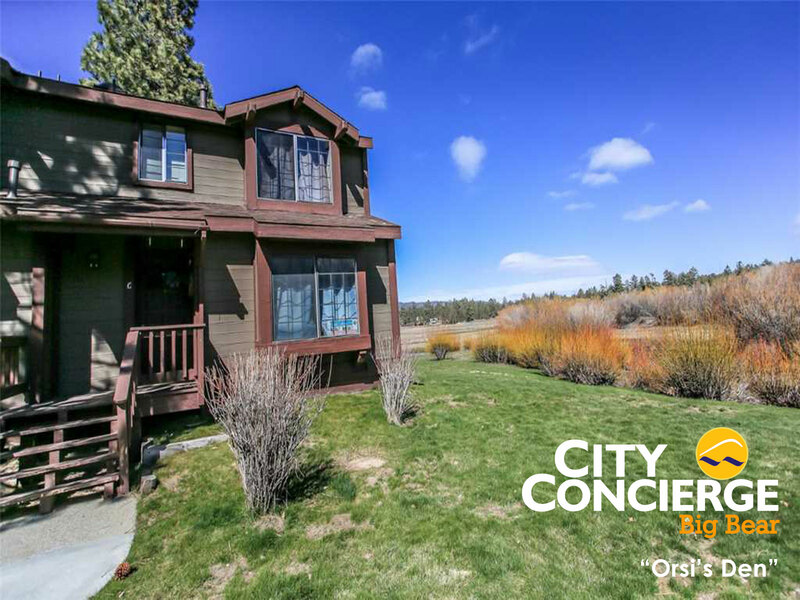 City Concierge is premiere Big Bear rental agency and guest services company that helps you plan the best vacations ever. We have lodging at Snow Summit, Bear Mountain and all over the town of Big Bear. From small to large rental cabins, simple to fancy, lakefront or ski in out, you get quite a choice to make your vacation rentals fit your budget. This season we have added a complete line of Big Bear luxury rentals to compliment our basic accommodations and well equipped rustic cabins. Whether your want to be close to the village, walk to the slopes, tucked into the forest, or right on the lake, we're here to help you with all your vacation plans, and our service is free! City Concierge was started in 2002 with the idea that all of the guest services should be easy and in one place, so that is what we have done. We have over 450 Big Bear vacation rentals each a custom home maintained by a local company and ready to go for a fantastic trip. Many are large enough to share with another family, which helps keeps costs in control. We can provide custom chefs to cook for you, help you with babysitting, activities with your kids, and much more. We do this for all our customers. During the winter seasons you'll want to spend time outdoors, skiing, snowboarding, sledding or hiking. In Summer you'll be on the hiking trails, at the mountain pike park, or on the lake boating around. skiing at Snow Summit is probably the most popular activity in town except when the snow melts and they have one of the top 5 mountain bike parks as voted by MTBparks.com. It is a large mountain and accommodates both beginners and advanced athletes. Snowboarding at Bear Mountain is the place in the wintertime. The mountain was designed with snowboard terrain parks and runs especially for your riding. Skiers are welcome too, but you'll find that skiers prefer Snow Summit, and snowboarders prefer Bear. Kids who aren't skiing or riding grab sleds and shwoosh down the mountain anywhere they can find. You can also visit Alpine Mountain, a sledding park, or visit the man made sled parks at either end of the town. After being outdoors, you'll want to come in and warm up by the fire, play billiards or sit in your own private spa. Amenities you might find in one of our rental properties. Big Bear is truly a four season resort with winter and summer being most popular, but spring and fall are wonderful as well. In spring, you can come up for a weekend to unwind, and mix both the summer and winter activities together as they overlap. That's right, you can fish on the lake, and ski on the mountain. In fall, we have our annual Oktoberfest celebration which starts in September and runs through October. It's a hoot and coupled with the trees all changing colors it really is beautiful. Let us help you plan the perfect trip. When it comes to your lodging, take a look at our Big Bear cabins or stay in one of the cozy Bed and Breakfast cottages or hotels. We're here to help you with your plans, so call us at 866-864-6444. You'll get friendly knowledgeable service and best choice of Big Bear vacation rentals and guest services available. It's our resort, your vacation! Now get started!